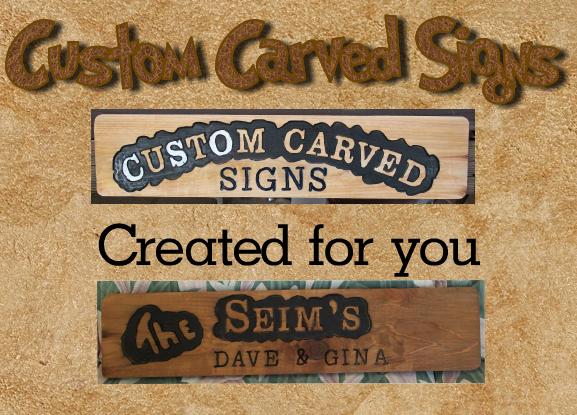 We make great custom routed wood signs from your ideas. We can make just about any type of routed sign. Everything is a custom sign made one at a time. All signs are one of a kind made from your descriptions, we will attempt to create the sign you are thinking of - all reasonable priced. Hand Carved Custom for you.